Funeral services for Elsie Ann Wiggins, 72 of Kershaw will be held at 3:00 o’clock p.m., Tuesday, April 2, 2019, in the sanctuary of Mt. Pisgah Baptist Church, Jefferson. Rev. Terry Corder will officiate. Burial will follow in the church cemetery. Miss Wiggins passed away, Sunday, March 31, at her home. Born in Lake City, she was a daughter of the late C.F. Wiggins and Elsie Lawhon Wiggins. She retired from the South Carolina Baptist Convention Office in Columbia. 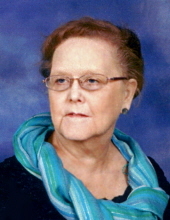 Miss Wiggins had served as Educational Director for West Main Baptist Church, Spartanburg and a teacher in both private and public schools. She also served as State Mission Friends consultant for the Baptist convention, worked with the State WMU office, and Director of the March of Dimes. She loved her church where she served in many capacities serving as, WMU Director, Music Leader, Librarian and Archivist. Miss Wiggins was a graduate of Mt. Pisgah High School, received her BA from Lander College, held a master’s degree from The Southern Seminary in religious education in Louisville, KY and a master’s degree in elementary education from USC. Surviving are her brother, John A. Wiggins and his wife Geri of Kershaw, her sister, Letitia Moore and her husband Thomas of Blacksburg; a niece, Aubrey Moore Pearson and her husband Curtis of Shelby, NC; nephew, Ethan Moore of Belmont, NC and 2 great nieces, Emme and Ellie Pearson of Shelby, NC and her beloved church family. In addition to her parents, she was preceded in death by a brother, Charles F. Wiggins, Jr. The family will receive friends, Tuesday, April 2, one hour prior to the service beginning at 2:00 o’clock p.m., in the church sanctuary. Church, 2140 McBee Highway, Jefferson, SC 29718. To plant a tree in memory of Elsie Ann Wiggins, please visit our Tribute Store. "Email Address" would like to share the life celebration of Elsie Ann Wiggins. Click on the "link" to go to share a favorite memory or leave a condolence message for the family.